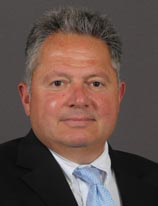 Joseph D. Cantafio is a licensed real estate sales person with Cushman Wakefield Pyramid Brokerage Company. Prior to joining Cushman Wakefield Pyramid Brokerage, Joe gained valuable experience working for General Motors, Motor Plant on River Road in Tonawanda. While working at General Motors Joe earned his bachelor degree in Sales and Marketing at State University at Buffalo. Joe was instrumental in implementing work practices that resulted in creating the most efficient motor plant in North America. Upon retiring from General Motors Joe accepted a job at the Buffalo Creek Casino in Downtown Buffalo, where he received national recognition for his customer service and sales expertise. After just two years, Joe decided to get involved in commercial real estate in the Buffalo-Niagara Region. Joe’s education , corporate experience, contacts and people skills make him a dedicated agent capable of successfully filling your commercial needs! Joe places heavy emphasis on understanding your business needs and goals. Whether you have commercial real estate needs, require research or a general question, please do not hesitate to contact him!